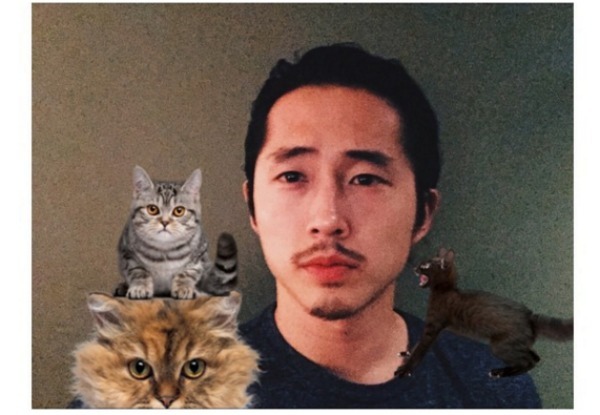 Unlike his The Walking Dead character, Steven Yeun is rarely ever a disheveled hot mess — and we’ve got proof. You wouldn’t catch Glenn running around during the Zombocalypse with that gleeful enthusiasm. Yeun adorably honored hitting the 1 million Instagram followers mark with this selfie last year. 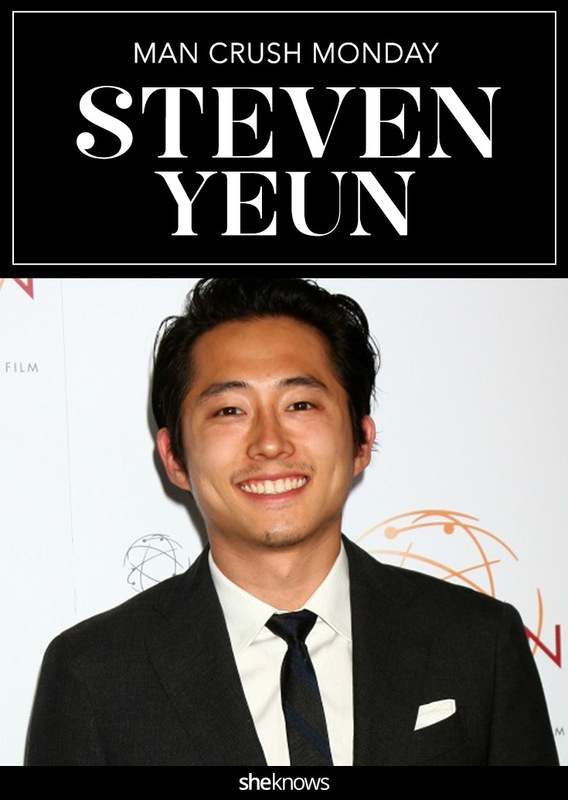 While Glenn may be a hot mess sometimes, Yeun is just hot. Not that we don’t love Glenn, but Yeun just has a much better wardrobe. 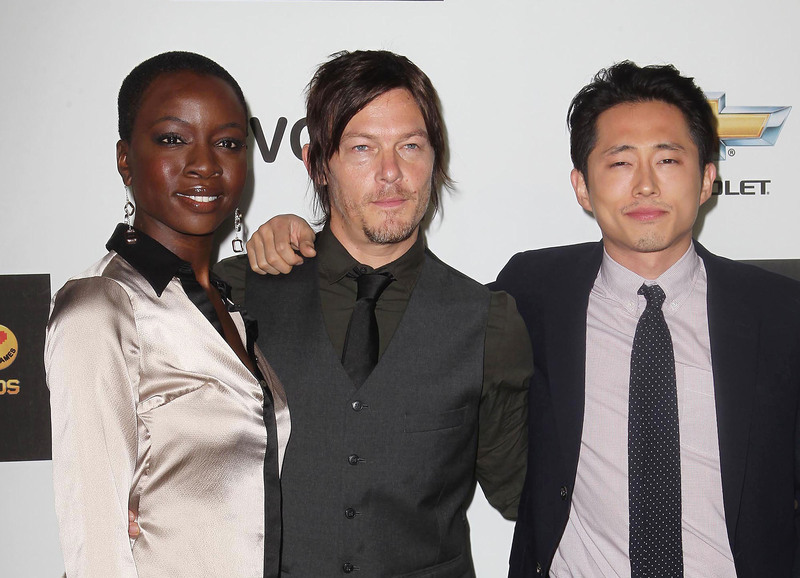 Yeun’s The Walking Dead co-stars Norman Reedus and Danai Gurira aren’t too shabby themselves. 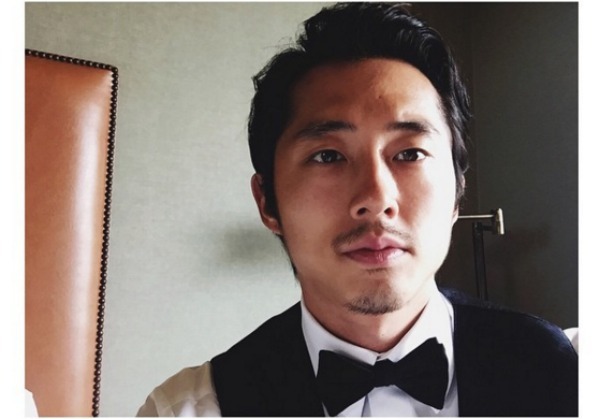 No complaints here about Yeun all dressed up all wedding season long. Always a pleasure to witness the lighter side of Yeun and Reedus. Yeun was so fresh and so clean at the 2014 San Diego Comic-Con. 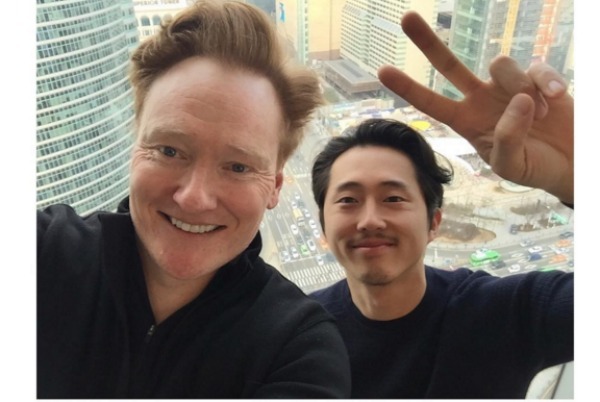 Yeun and his friend Conan O’Brien are quite the comedy team. Pretty sure Yeun has his shrug down pat after Glenn’s disapperance last season. Yeun looked beyond cute at PaleyFest 2013. What’s hotter than Yeun in formal wear? 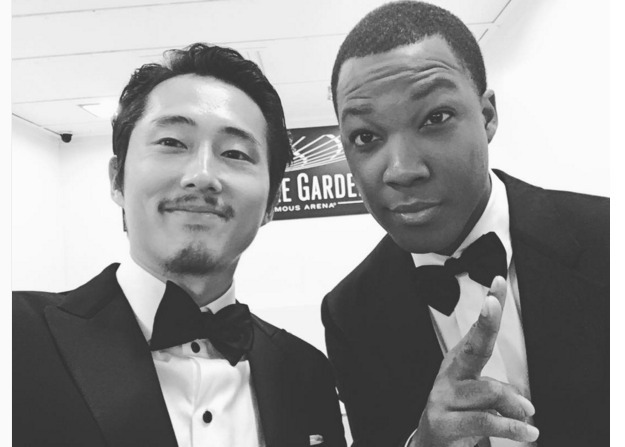 Yeun and Corey Hawkins in formal wear. If Yeun and his co-star Lauren Cohan were to date in real life, we would not be mad. Could the pullover sweater and shy smile be our favorite Yeun look? All signs point to yes.